Get off-road and on route for a THREE-DAY FUN RUN! 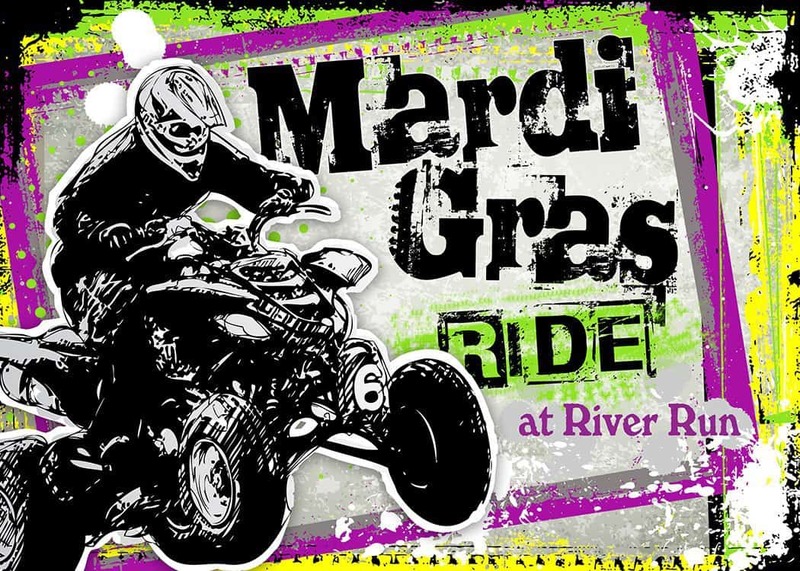 River Run ATV Park, located on the naturally-beautiful Neches River just minutes from Jacksonville, is hosting Mardi Gras, East Texas style! Rev up for a rousing good time with a full slate of activities and events, including live music by Blacktop MOJO providing the backdrop for Treasure Hunts, a Poker Run, Bounty Hole and more. Each year, this event draws exuberant crowds in the tens of thousands to get down and dirty with their off-road vehicles. Not ATV? No problem! With so much going on, there’s plenty to qualify as a super spectator sporting event. Mark it on your calendar and have yourself a muddy Mardi Gras!